When international buyers are on a hunt for classic cars to buy, chances are they look to sunny California. The rich car culture and convertible-friendly weather transformed California into a top source for classic car buyers. Some buyers also create a vacation out of it. Which helps explain why California exports more classic cars than any other state. Yet when most arrive to the states, they don't venture outside of Los Angeles - missing out on thousands of classic cars. We're not saying that Los Angeles has nothing to offer to classic car buyers, quite the contrary. LA has become so popular with classic car buyers, that it has became difficult to find a great deal. You find a fresh for sale listing on Craigslist, call minutes later and find out that it's already been sold. Better yet, you can arrange to buy the car, but by the time you arrive to pick it up, someone already paid more for it and collected the car. These are the stories we've heard time and time again from classic car buyers around Southern California. This is the reason why buyers are beginning to look outside of Los Angeles when searching for cars. Why Northern California should be your source of classic cars and oldtimers from the US. Vacationing for classics in the US is a modern getaway that many Europeans dream of, and Northern California is becoming a hot source for classics cars and oldtimers. It's the same 11-hour flight from mainland Europe as it is to Los Angeles International Airport (LAX). Yet not many overseas buyers take advantage of the area, or the volume of cars available for sale here. In fact, there are more classics listed for sale on Craigslist in Northern California than in the South. 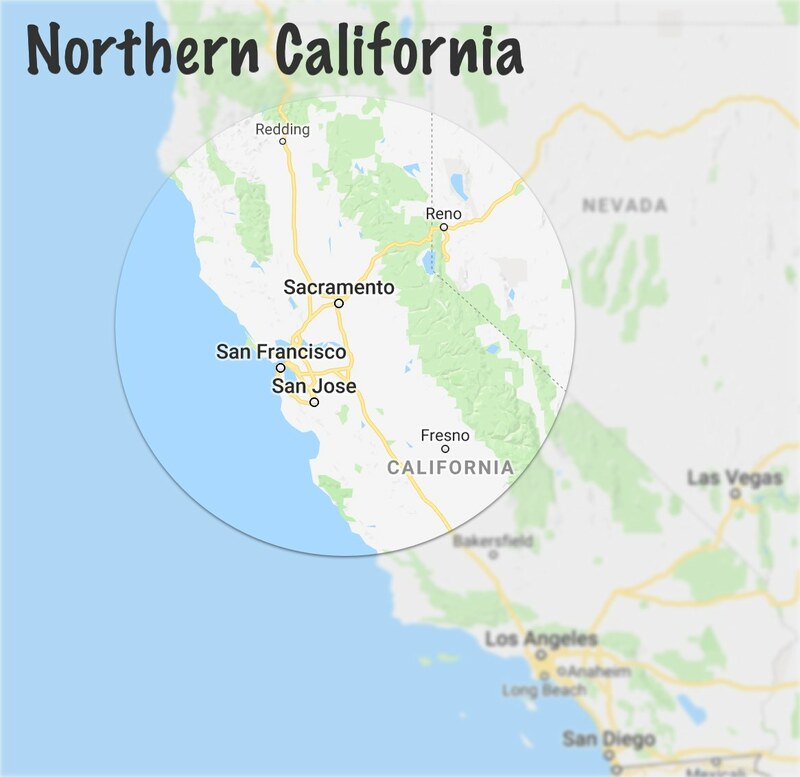 And while Northern California may sound like it's up in the mountains, it is warm and dry here throughout most of the year with temperates averaging at around 70°F (21°C). This makes NorCal a great vacation destination for the whole family to tag along on. To help new visitors, we've created this page to guide with sources for classic cars, events to attend, and sights to see along the way. Traveling to buy a classic car gives you the perfect opportunity to explore the beauty of Northern California. 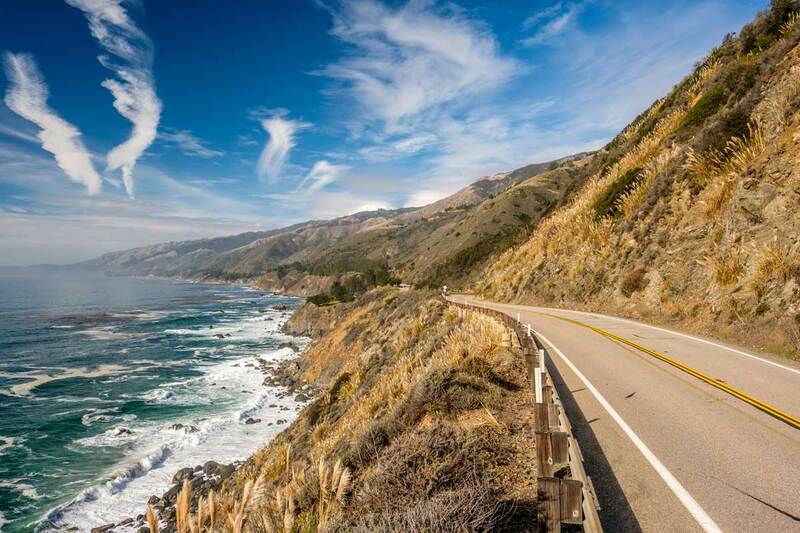 From the stunning coastal roads, to the world-class national parks, North California has something for everyone in the family. 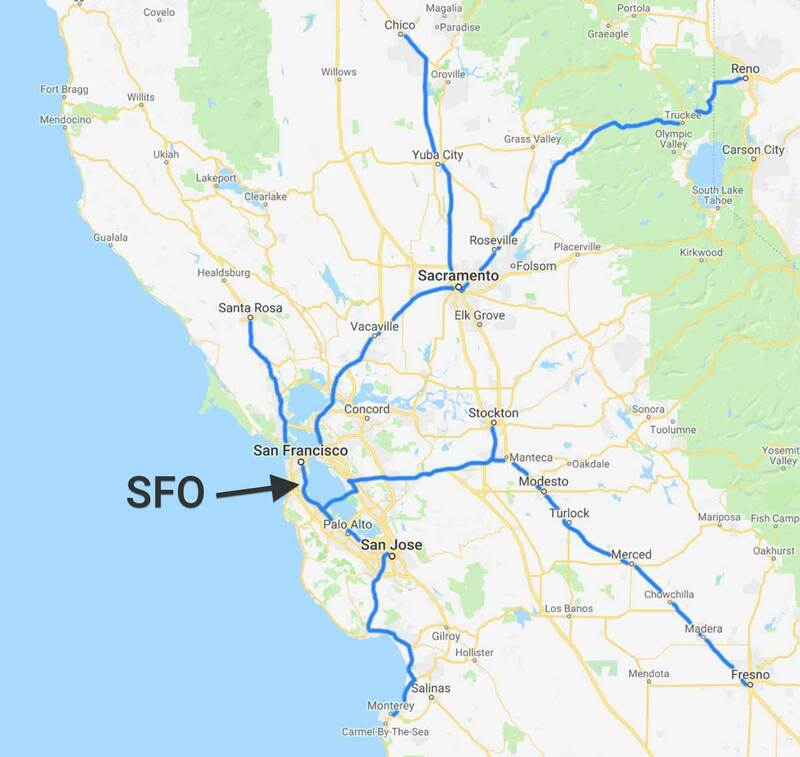 We recommend starting the trip off from San Francisco, as it's the largest airport in Northern California and flights there are more frequent, and rates more affordable. Finding a place to stay in Northern California is not an issue. Hotels and motels are widely available throughout California. Then there's also Airbnb which allows home owners to rent their homes or rooms, which makes it easy for travelers to find a place to stay no matter where they are. And if you're the adventurous type, you can also camp out at a campsite at a nation park. If you're traveling to Northern California in late August, be sure to check availability ahead of time. As it can get tight around Monterey Car Week, and other major classic car events. 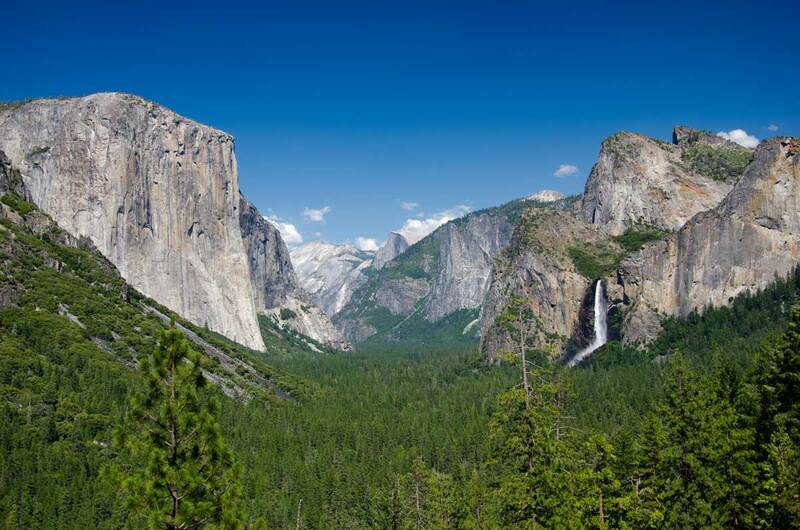 There is no shortage of beautiful sights to see during your trip to Northern California. There are stunning parks to explore, and beautiful roads to drive. 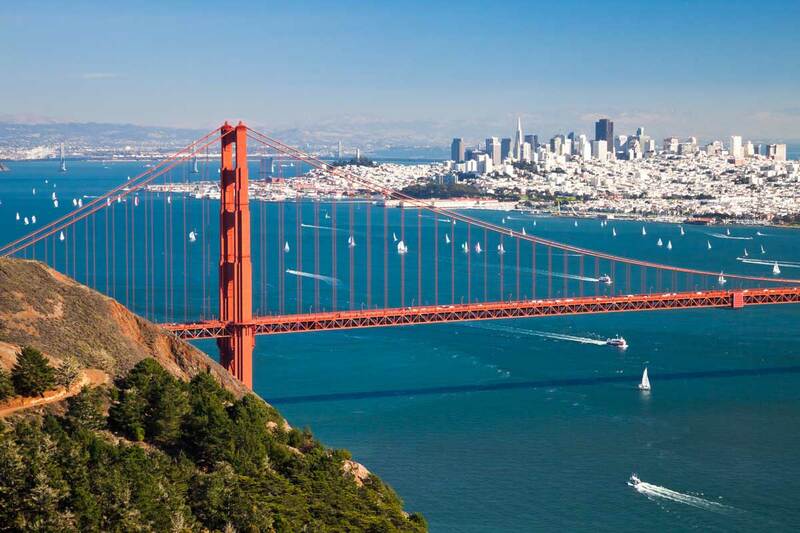 San Francisco - The famous city of San Francisco should be on your list of cities to visit in Northern California. There are a number of sights to see in SF, including the Golden Gate Bridge & Park, the numerous museums, and Alcatraz. There are also a number of classic car dealerships located in SF and the surrounding area. The port of Oakland, the top port for classic car exports in Northern California, is also nearby. Nearly 5 million people live in the city and the surrounding region, making it the most populated metropolitan areas of NorCal. Napa Valley & Sonoma County - Under an hour north of San Francisco, you will find two of the most famous wine counties in the United States. Both Napa Valley and Sonoma County have numerous wineries worth visiting while exploring the beautiful country side roads. Eureka - Eureka is a coastal town with a rich historic background. It used to be a central location for the Californian lumber trade, and it is currently a historical landmark. It's a beautiful city with hundreds of Victorian homes which are worth seeing for yourself. 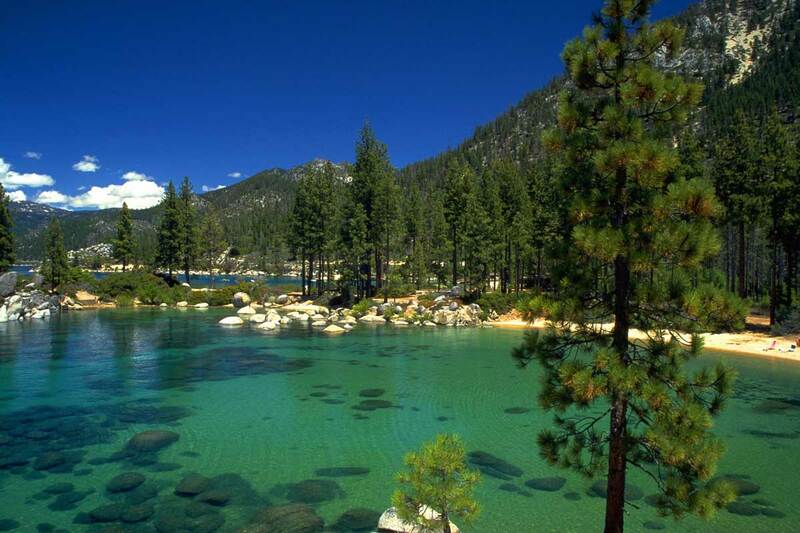 Lake Tahoe - Lake Tahoe is a popular getaway for North California locals in all seasons. During the summer it's great to hit the beach, and in the winter it's one of the top skiing and snowboarding destinations in the US. Monterey Bay Aquarium - One of the largest aquariums in the US is located in Monterey, south of San Francisco. It's host to over 35,000 animals. Worth a visit,. especially if you're traveling with the family. Laguna Seca and Sonoma Raceway - Laguna Seca and Sonoma Raceway are both legendary race tracks located in Northern California. You can sign up for a track day with either one. Not everyone is comfortable with buying without seeing the car in person first. As a result, some international buyers create a vacation out of it. And some, if they're lucky enough, create a business out of it. Vacationing For Classics in the US is a modern getaway that many Europeans dream of, and NorCal is becoming a hot destination. Check out the top places to buy a car from the United States - click here to read. One of Northern California's oldest and most respected names in the classic car industry. For over 35 years, Bruce Trenery and his son Spencer, have sourced some of the most desirable classic cars and race cars from around the world. Stop by their Bay Area showroom and check out some incredible cars. 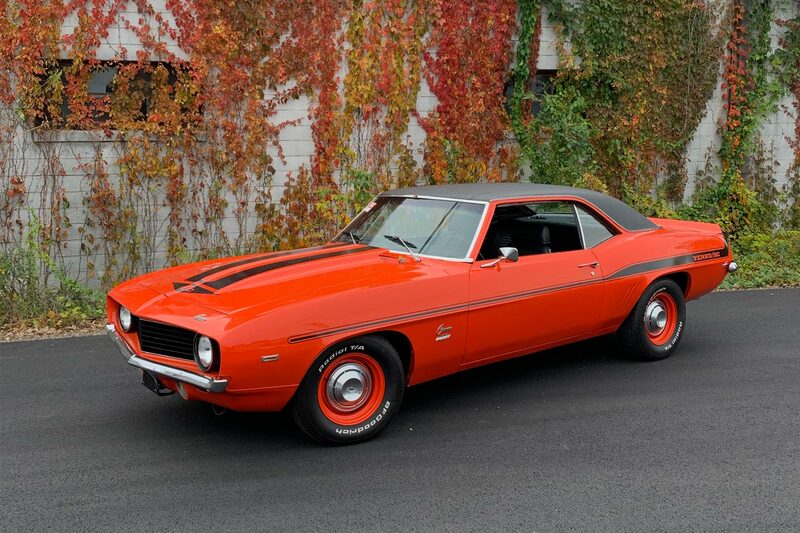 They started as a classic car restoration shop in San Francisco, specializing in American muscle cars. Since relocating across the Bay to Oakland, their shop has turned into a dealership and a beautiful event space. There's always something interesting to be found. And if what they have under consignment doesn't tickle your fancy, they are happy to source the cars you're looking for. San Francisco's own Porsche specialists with specific focus on the 911, 356, and 912 models. There are the guys to see if you're looking for a special Porsche. Cars Dawydiak has been San Francisco's source of dream cars for over 35 years. 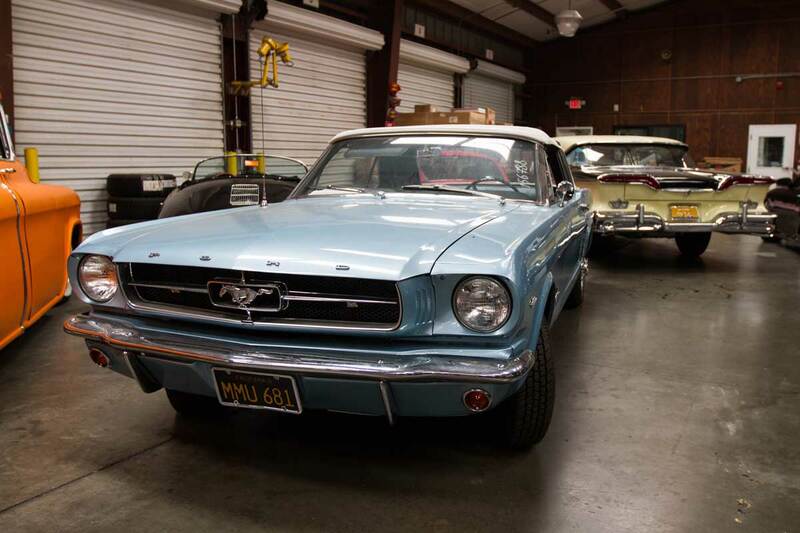 They offer anything from locally sourced sports cars, to clean and well cared for oldtimers. Founded in 1978, Specialty Sales Classics is a consignment shop with an impressive inventory. As of this writing, they have over 120 classic cars for sale throughout their 3 dealerships in the Bay Area. Canepa is a name synonymous with collector cars. It's a respected dealership, restoration shop, and race team. All founded by Bruce Canepa, who along with Bill Gates is responsible for legally importing the first Porsche 959 to the US and getting the US government to pass the Show or Display law. If you're a classic car dealer in Northern California and would like to be listed on this page contact us. 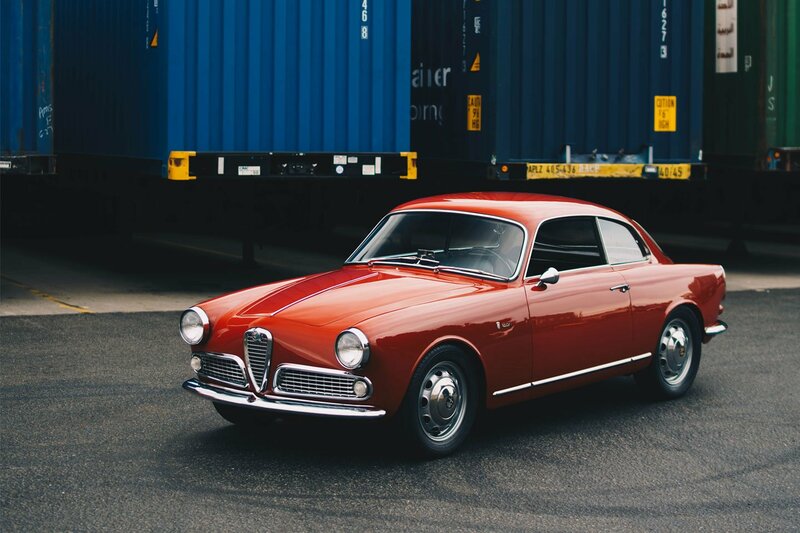 Classic cars and oldtimers from Northern California are shipped overseas using shipping containers. Cars are brought to loading facilities near the port of Oakland and loaded into containers. The port of Oakland is one the fastest growing ports in the US, with exports increasing by over 40% during the last 4 years. While the port of Oakland continues to grow, it has not faced the same issues with delays as the ports down South. Despite experiencing no delays at Oakland, the port of Oakland sees a large volume of cars exported in containers. 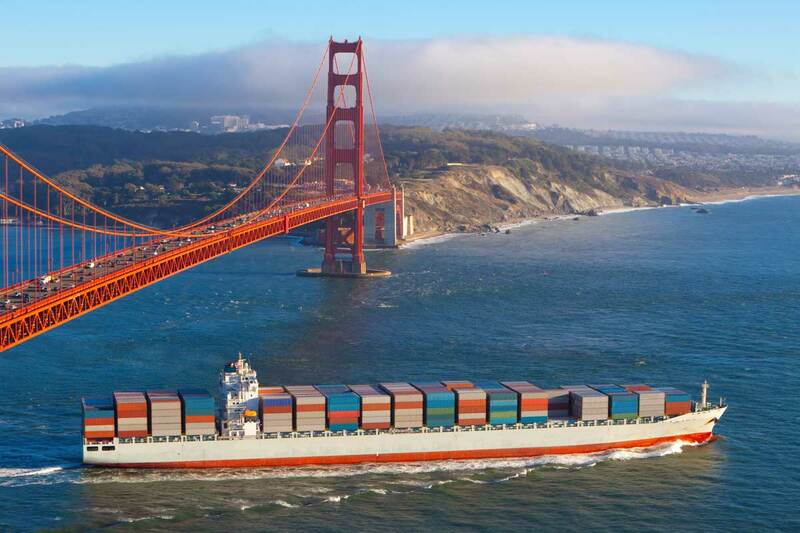 Because of the volume, companies offer a consolidation service to major ports of the world. Consolidation saves you money on ocean shipping because it allows you to share a container with other customer's cars. So instead of booking your own 20ft or 40ft container, companies can consolidate your vehicle. 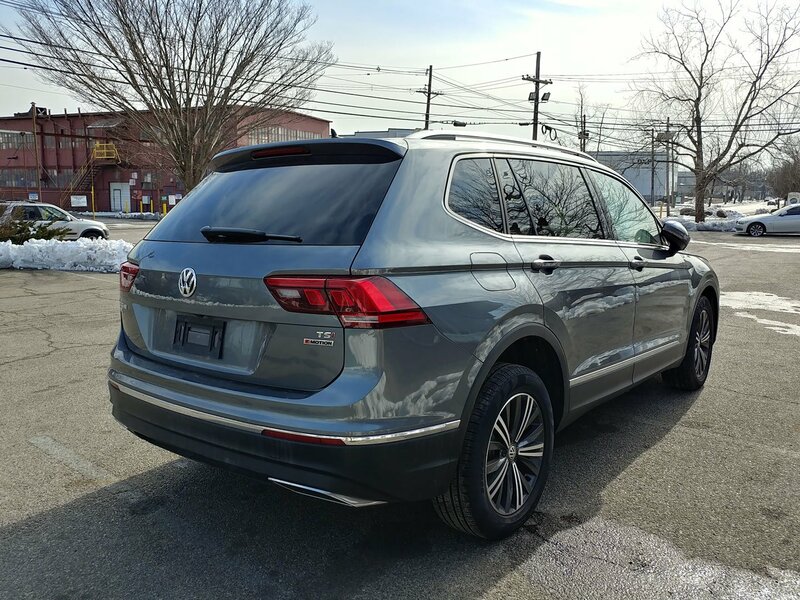 If you purchased a car in Northern California and need it shipped, you have the option of dropping off the vehicle at the loading facility near the port of Oakland, or you can have your shipping company collect the car using an enclosed or open car carrieronline shipping calculator. Northern California is host to more than a dozen classic car events worth visiting. Events range from cars & coffee meetups, to swap meets, auctions, and a concours. There is something here every classic car buyer and seller. Take a look below at the recommend events to visit when searching classic cars and parts in California. Sorted from the largest to smallest events. The Turlock Swap Meet is one of the oldest swap meets in the state, dating back to 1965. The next meet is scheduled for January 26 - 27, 2019. Entrance is $10 on Saturday, and $5 on Sunday. This is custom car heaven. Over 500 of the wildest classic American customs will be on display at the Sacramento Autorama on February 15 - 17, 2019. The first Good Guys show for 2019 will take place in Pleasanton on March 30 - 31, 2019. These are massive gatherings with thousands of classic cars and parts on sale. Another swap meet takes place in March. The Lodi Swap Meet & Car Show focuses on American classics cars and muscle cars. Dates for March 2019 will be confirmed soon. Organized by the same group as the Lodi swap meet taking place in March, the Stockton Swap Meet is set on a larger scale with 100s of sellers offering cars and parts. Date for April 2019 will be confirmed soon. Your chance to see over 300 vintage cars racing around Sonoma Raceway. The CSRG David Love Memorial Vintage Races are a blast to attend. Races take place on April 12 - 14, 2019. A week long classic car extravaganza is what best describes Kool April Nites. Thousands of classic cars will descend on Redding on April 20 - 28, 2019. The 44th annual street rod nationals take place April 2019. It's both a car show for classic American street rods and a swap meet in one place. The show to attend if you're looking to buy a Mustang or a classic Ford. The date of the event is unconfirmed for April 2019. Vintage air planes and classic cars. What more would you want? 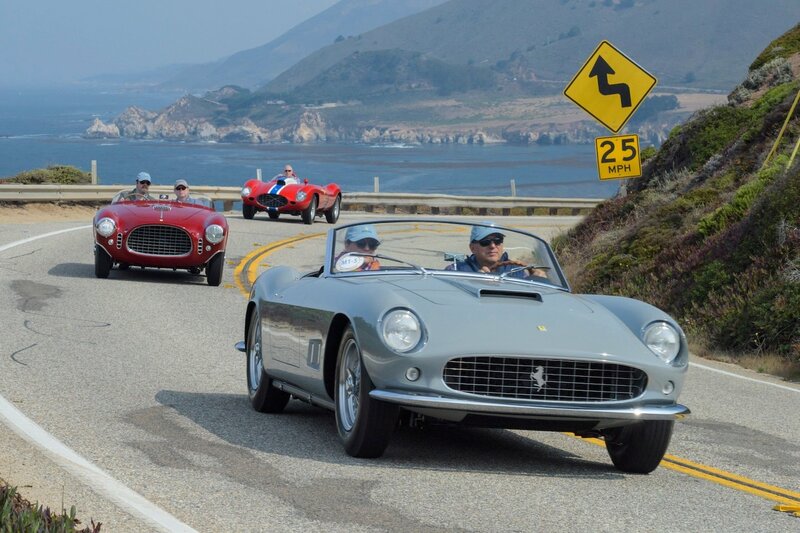 Did you know that California holds its own Mille Miglia race? 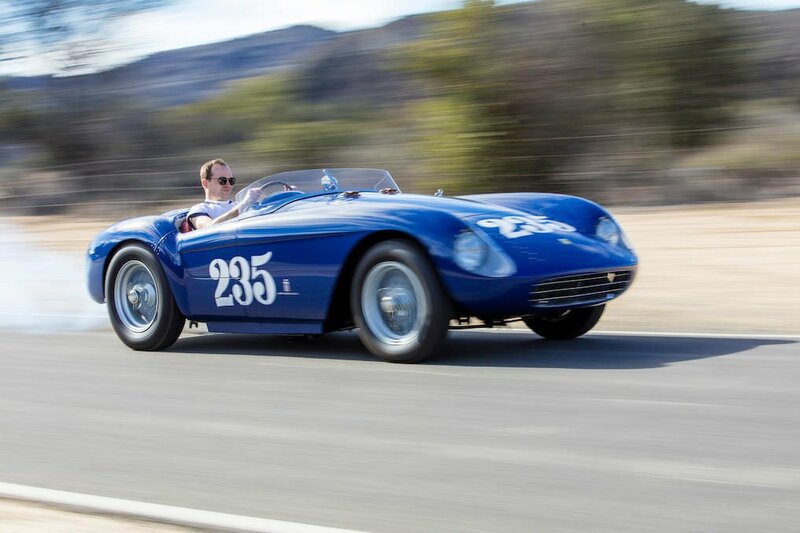 The California Mille departs from San Francisco, and travels 1,000 miles through Northern California. Even if you're not attending, it's worth seeing the starting line up as the rally departs San Francisco. A day full of classic cars, airplanes, motorcycle jumps, and monster trucks. The Pacific Coast Dream Machines show is worth seeing in person. The 26th annual Benicia Classic Car Show accepts all pre-1976 cars and trucks. Worth stopping by if you're passing through Benicia in late April. 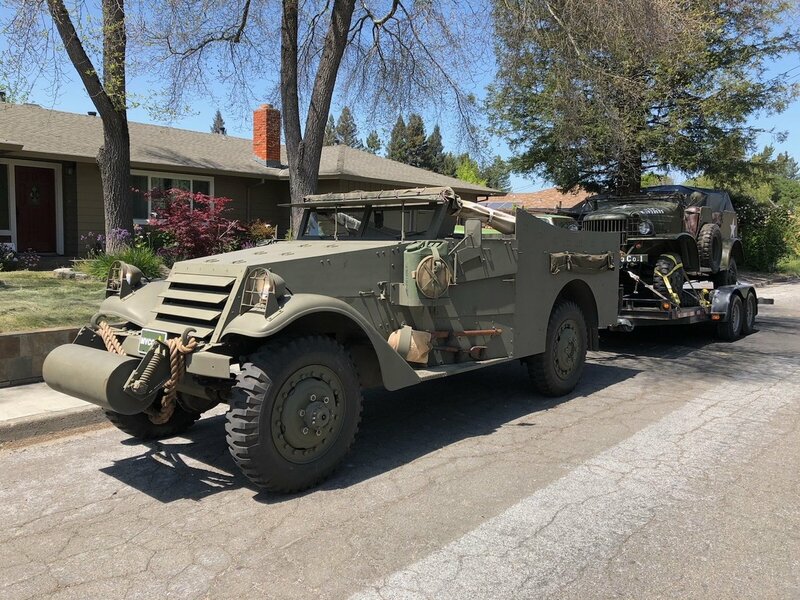 The Downtown Grass Valley Car Show kicks off on May 4th, 2019 and is open to any cars and motorcycles pre-1975. A swap meet local to the Bay Area which takes place the first weekend of May 2019. The Turlock Swap Meet has been going at it since 1965. Each meet attracts thousands of buyers and sellers from across Northern California. Over 700 classic cars are put on show and judged. While not all are for sale, the Gold Rush Car Show is a great place to network with classic car owners in the area. A massive show on the streets of Woodland with an awards ceremony to top it off. All vehicles 1993 and older are allowed. Entrance is free, $10 donation encouraged. A gathering of hundreds of classic cars and motorcycles in the Bay Area. Takes place the second weekend of May 2019. The 31st May Madness Car Show takes place May 11th, 2019 with several hundred hot rods and muscle cars in attendance. The Petaluma Swap Meet will once again host the swap meet in its 45th year on May 19th, 2019 in beautiful Sonoma Valley. The Biggest Little Car Show is a show dedicated to all things Mustang. Held by the Golden Hills Mustang Club for the last 35 years. The next show is May 18th, 2019. The second Good Guys show of 2019 takes place on June 1 - 2, 2019. The annual Sonoma Historic Motorsports Festival will feature period correct vintage cars pushing it to the limit on track. This is a weekend long event which typically takes place in the beginning of June. The Historic Race Car Festival also takes place that weekend. Another custom car show taking place June 8 - 9, 2019. Head out towards Lake Tahoe, and stop by the Rockabilly Riot Car Show. There's an awards show, contests, music, and plenty of activities for the whole family to enjoy. Dates remain unconfirmed for 2019, however its usually held the 3rd weekend of June. Held a month before Monterey Car Week, the Rock and Rod Festival is full of classic cars, dancing, and food! The annual Pinole Car Show will be held June 23rd, 2019. All classic cars are welcome. Cars, parts, and auto memorabilia all up for trade at the Santa Rosa Swap Meet in July. In its 30th year, the Saratoga Classic Car Show will bring over 300 classic cars on show. AutoXpo has attracted classic cars to Fortuna annually since 1990. The event in 2019 promises to continue the tradition with hundreds of classic cars on show. A huge weeklong event taking place in Reno, NV. There will be thousands of cars with endless entertainment at Hot August Nights. Tickets range from $20 to $45. 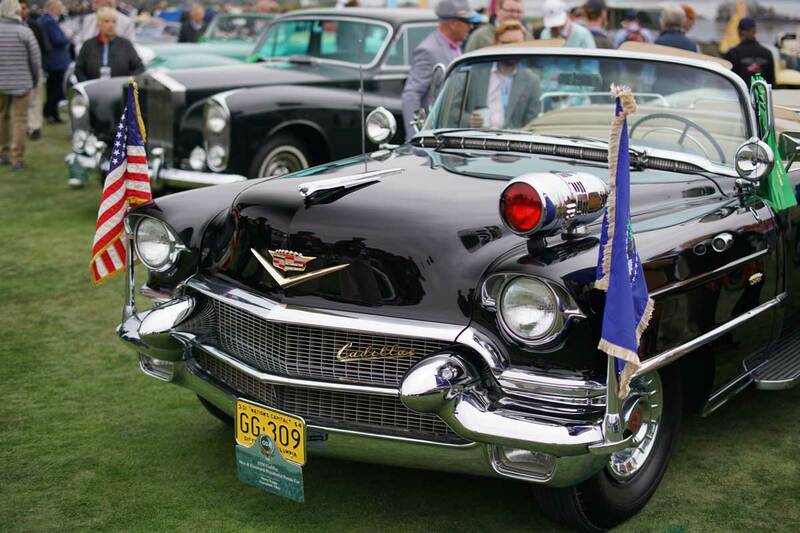 Northern California turns into a collector car mecca during Monterey Car Week. Over a dozen car shows, six auctions, and a world-class concours turn this into an event for the bucket list. For 2019, Monterey Car Week takes place August 9 - 15th. Admission varies event to event. Goodguy's 3rd event during 2019 is the West Coast Nationals. More cars for sale and a swap meet take place August 23 - 25. The annual Nostalgia Days car show taking place in Novato, with 200 cars registered to appear on August 3 - 4, 2019. The Packard and Classic Car swap meet takes place on September 9th in the Bay Area town of Vallejo. One of the few antique auto shows held in Northern California is also one of the best. The Antique Autos is held for pre-1946 vehicles in original condition, or restored condition. A classic car and motorcycle show held at the San Jose Country Club each year. The last Turlock swap meet for the year. Stock up on cars and parts before the winter. Sacramento's largest classic car show is Cruisefest which takes place each October on Fulton Avenue. Over 300 cars and 10,000 spectators attend each year. Over 400 classic cars will descend on the small Bay Area town of Alameda on October 12, 2019. As you may have guessed from the name, this is an event for British made cars. It is held each year in downtown Morgan Hill, 70 miles from San Francisco. The British Fall Classic is not to be missed if you're looking for British made cars to buy. A great event that not only gives you a chance to find more classic cars and make contacts, but it also gives you an opportunity to check out beautiful Lake Tahoe. The Good Guys Autumn Get Together closes out the year for swap meets in Northern California. If you're in San Francisco in November you may as well stop by the SF auto show. No events to recommend in December for 2019 just yet.